This event will be a fun stop during this Quilt Week in Paducah! Pop by Friday afternoon, April 26 between Noon – 5 pm. 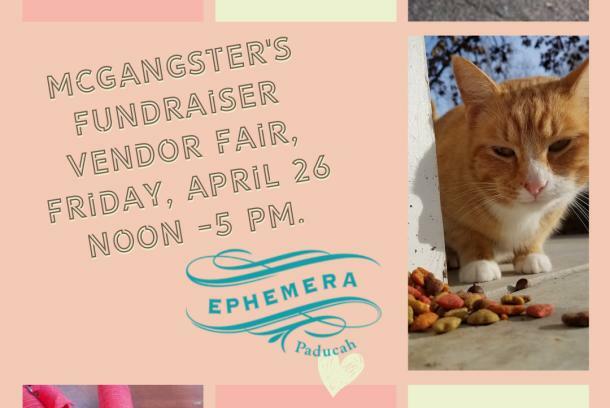 Our Studio will host some of our Ephemera Paducah Students and Instructors selling handmade/handcrafted items. 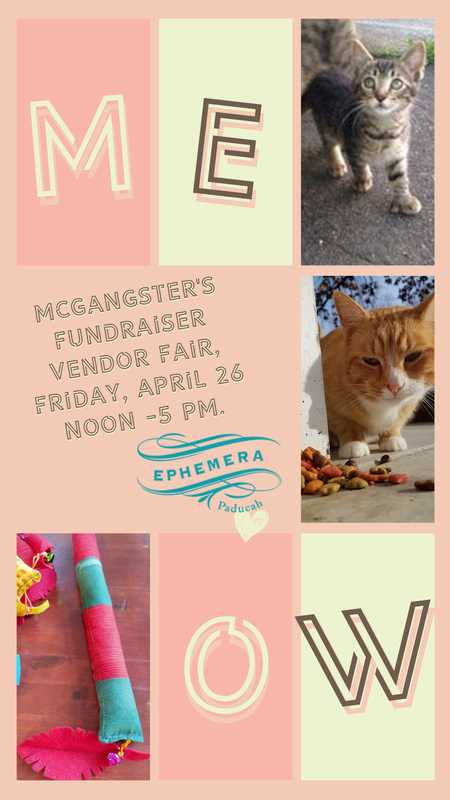 A portion of all of the proceeds from this sale will support one of our grassroots animal-loving organizations, The McGangsters. The McGangsters is all about helping to feed, care for and spay and neuter local feral cat colonies. They pair up loving homes, with the right cats/kittens who would prosper in them. Rose can attest to their matchmaking abilities! If you’d like to bring food for the feral cat colonies, Meow Mix is the preferred brand. They have gotten used to it and gobble it right up! Plenty of parking is available on the street or in the back gravel lot accessible via Madison Street. Ephemera Paducah is located on the corner of 9th and Madison Streets in Paducah’s Lower Town Arts District.